There are some places you rarely hear of - mostly because they want to stay low key. Their residents and authorities would love them to be exclusive and out of reach by the general public. One such place is Myrtle Beach, a city in Horry County, South Carolina, on the east coast of the United States. The city is located next to a stretch of continuous beach called the Grand Strand. Unfortunately, great places rarely remain hidden for long and Myrtle Beach had this one coming for so long. Its residents had started believing in the 'hidden gem' fairytale - too bad. Of late, the city has been receiving more than 14 million tourists during Spring, Summer and Fall seasons, mostly due to its subtropical weather; but also because it has world-class eateries. Below are the topmost beachfront eateries in the city. Marina Inn is Myrtle Beach City's premiere dining destination. It is ideal for both family nighouts and romantic dinners. It is popular for its Fish Tacos that are served with a Mango Margarita. The name is unfortunate, but the food is extraordinary, the views spectacular and the entertainment exhilarating. The cafe combines the three concepts of entertainment to leave a thoroughly impressed guest. This is another seasonal cafe that opens from around March 29th. It is owned by a fantastic chef known as Bill Austin whose cuisines are legendary among the locals. The food can be served indoors or outdoors upon request. The ocean front setting gives the cozy restaurant an intimate feeling that can only be acquired through meticulous planning. Call it the American Humor, but the names of some of these restaurants belie the quality of food available. Drunken Jack's is a seafront restaurant that serves great steaks, chicken and world-famous hushpuppies with honey butter. Amazingly, the restaurant overlooks the scenic Marsh Walk and Marina. This restaurant will give you the best opportunity to dine in front of the Grand Stand. Seafood, a visit to the Marsh walk and live entertainment are some of the things on the menu at this restaurant. Myrtle Beach city is still a very exclusive destination by US standards and if I were you, I would visit it before it becomes overcrowded. It is one of those little places that are authentically American...I mean, the city still have the values that make US the greatest country on earth. 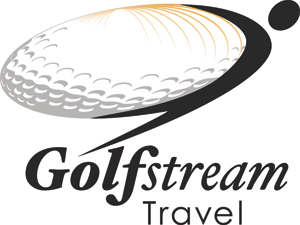 Golf Stream Travel will help you plan your trip to Myrtle Beach.